An Introduction to River Fishing. Where to start? Anglers throughout the World and throughout history have been fishing our waterways for fun and food for as long as the history books show. But what is the fascination with fishing rivers in particular? Unlike stillwaters, rivers just seem more alive. They are forever changing, moving and alterering to the influences of nature. 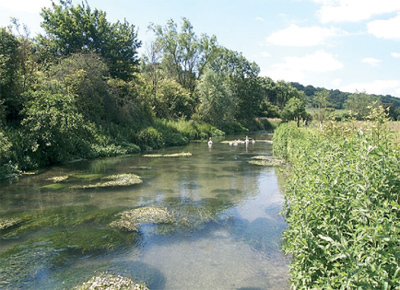 Conditions can dictate how a river behaves. Floods, droughts, snow and ice all have an impact, not only on the river, but also its inhabitants. Rivers change in nature and appearance right along their course. We have the fast, shallow streams in the upper reaches, gradually widening and deepening as they progress down towards the sea. In between these two points, we have an incredible variety of water speeds and habitat. Areas of fast gravel, flowing rununculas, overhanging trees and bushes and snag ridden swims, deep holes and fast glides. Lower downstream we have the slow, meandering grace of the river as she makes her way to the sea. Last but not least, the tidal stretches, wide and often daunting in their size and nature. Even a single stretch of river can vary greatly along its course. Many club stretches of river can offer different characteristics over a very short distance. This, to me, is the beauty of river fishing. 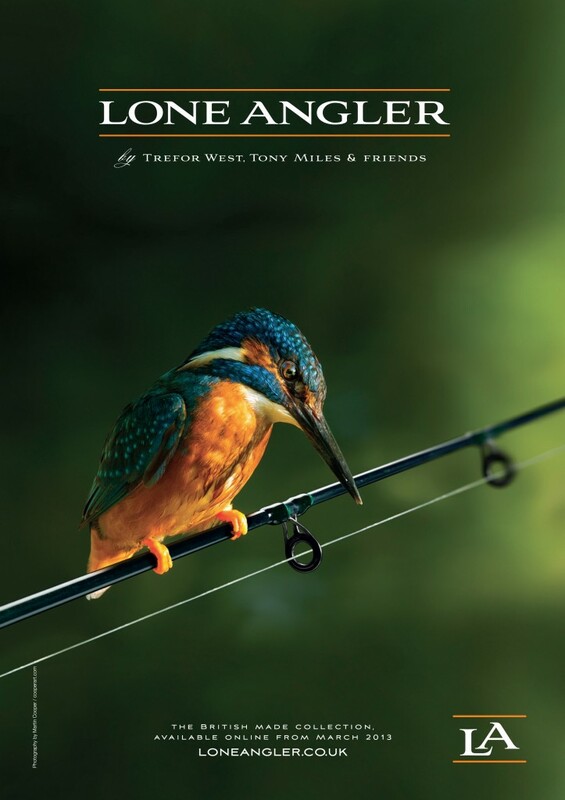 The forever changing habitat that fuels the angler’s imagination and feeds his dreams. For those that have only ever fished on lakes and ponds, a river can seem a daunting place to fish. Suddenly we have running water of varying speeds to contend with. Then of course we need to add in a few more ingredients to complicate matters further. Deep water, shallow water, gin clear or coloured water. 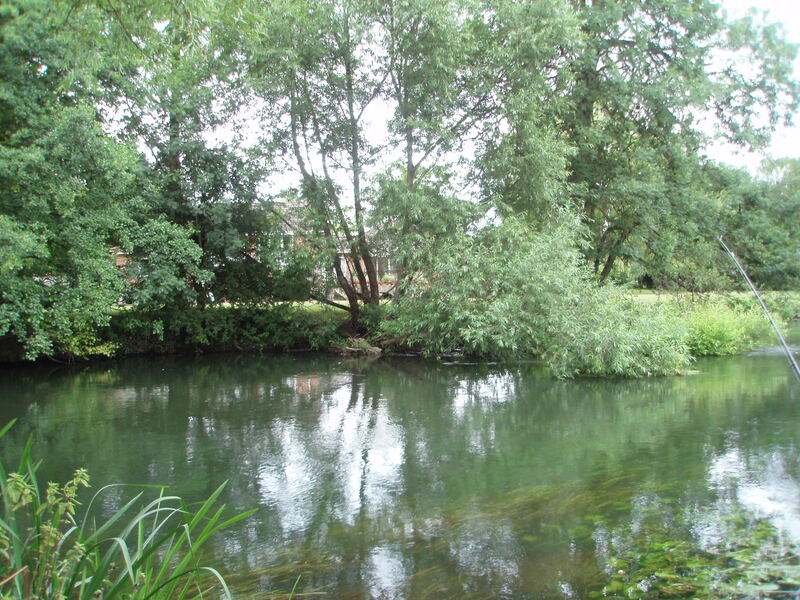 Then there are overhanging trees and bushes, some even laying in the river itself. 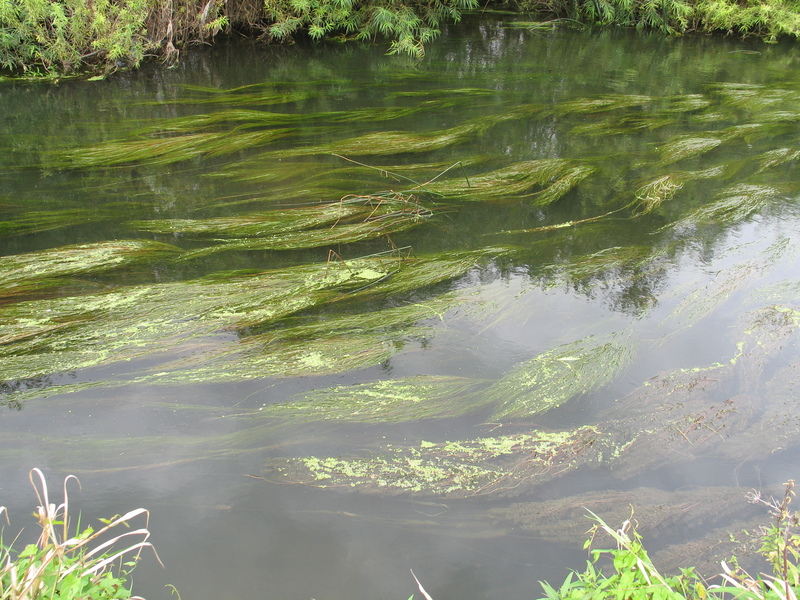 Plus water cabbages and runuculas, reeds and bulrushes, weir pools, deep holes, big wide bends. A river that’s 10 yards wide to a river that’s maybe a 100 yards or more wide. Where does it end and where does one start? Here we have the essence of river fishing itself, a never ending diversity that lakes just seem to lack. Of course it’s not as daunting as it appears; otherwise none of us would cope with fishing on rivers at all. So let’s take a brief look at where to get started. As with all things to do with fishing, the key is an understanding of the section you’re targeting. It’s generally called river or water craft. The ability to look at a piece of given water and identify likely areas where your target species will inhabit. As an example we will use the barbel. Barbel love flowing water. They also love weed and cover. They also love to feed on gravel runs and you’ll also find them in weirpools! But at the same time they like slow, meandering stretches too! Whooh that’s a lot of information to start with. It’s this type of knowledge though, that helps you to start to explore your own bit of river. Start to identify areas that are most likely to hold your target species. It’s all part of the growing knowledge that you require to be successful and to enjoy your river fishing. Different fish like different conditions and habitats. It’s through experience of actually fishing, trial and error, that your library or database of information grows and with it, your success rate. There are many resources available to you for reference. From DVDs to books and now of course the many excellent internet sites that dominate the World Wide Web. Watch, read and learn. They are all invaluable at helping to shape you knowledge and hone your skills on our beautiful rivers. There are so many aspects to river fishing that I could never cover them here in this introduction. The variety of species and the ways in which you target them are numerous. Whether it’s fishing with static or moving baits, artificial baits and lures, the methods are as diverse as they are exciting. What you have to do, is take that first step. Wander down to your local river and witness for yourself the endless possibilities and the sheer diversity of that habitat in front of your eyes. Most of our rivers are unexplored. Of course you will always find the popular areas (generally near the car park! ), but take the trouble to wander for a mile or so and you’ll probably find you have the place to yourself. There are fish along the whole length of a river, not just in the so called ‘hot spots’. Explore and you will no doubt reap the rewards of your pioneering efforts. Great article, sums up really well why I love river fishing. I especially liked the last paragraph – so true! Thanks for the comments Mark. 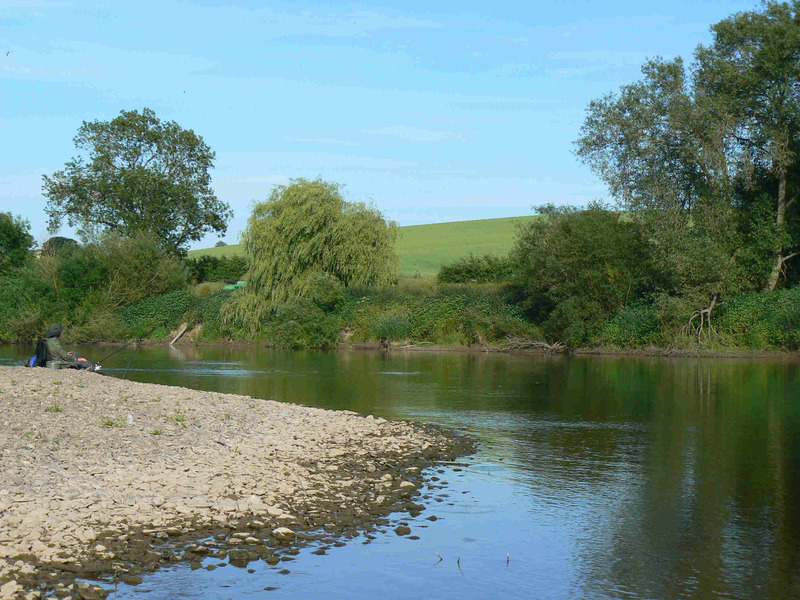 I do love to explore and it so often pays dividends, particularly if you’re after barbel. Just making a return to river fishing. Going to treat myself to a pin and trotting rod need to make a list of equipment to be mobile in a rucksack. I have small scales and weigh sling. Any decent suggestions for the rucksack? Nathan, just came across your article, very interesting and some good takeaway points! I love that rivers are so diverse as you mention, there’s a lot of variation and each poses its own challenges. Learning to fish a river is an incredibly rewarding experience.